Maccabi Fun Run will be organized for the first time in Prague. Maccabi Fun Run Prague is not a typical running event, especially not a running race. It’s an extraordinary Community FUN and Charity Day where people run or even just walk for their favourite organisations. In Prague, the registration fee goes to the reconstruction of old monumental damaged tombstone at the Jewish cemetery in Prague. 1.5K: yes, only 1 kilometer! No doubt that this is our most popular route! Recommended for those who especially join to experience a community feeling. It’s also the families’ number one choice. This route is rather FUN than RUN. Feel free to walk instead, the point is to have fun and support your community together with your loved ones! 5K: for those who want to do a little bit more sport on this lovely event! The list of the charities is coming soon. If you represent a charity who would love to join the event please do not hesitate to contact us! See the detailed schedule in the Maccabi Chai mobile application at Menu/Events/Prague Maccabi Fun Run. 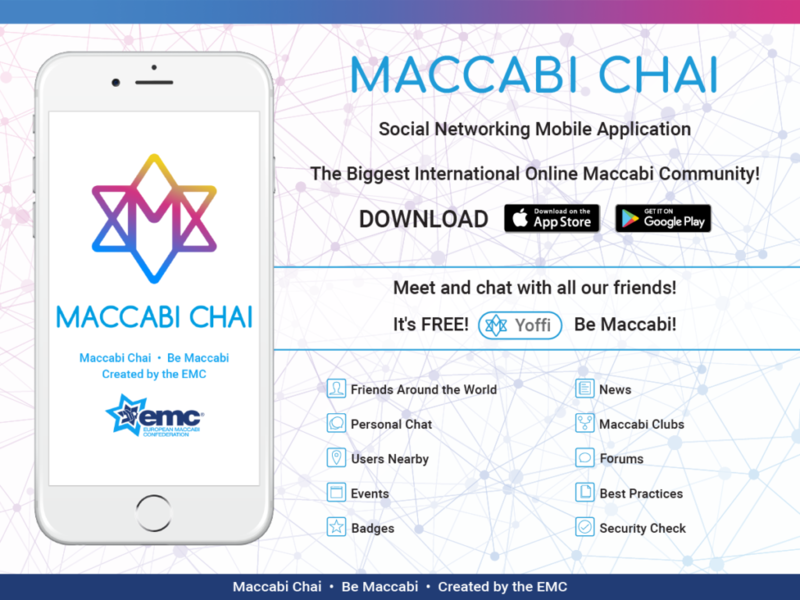 Download Maccabi Chai free mobile app now and enjoy its benefits!